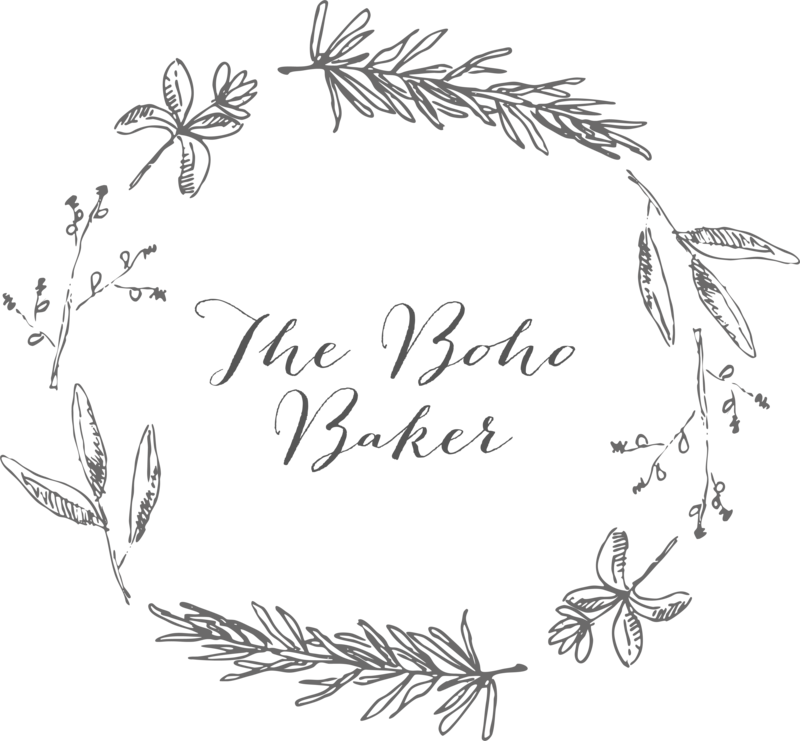 The Boho Baker’s recipe for honey shortbread is an easy sweet treat to bake with the family. Using an electric mixer, beat together the butter, honey and vanilla extract until pale and fluffy. Fold in the flour before using your hands to bring the dough together into a ball. Wrap the dough in cling film and refrigerate for 20 minutes. In the mean time, preheat the oven to 190C/170C(fan)/gas mark 5. Turn the dough out onto a lightly floured surface and roll it out to approximately 1cm thick. 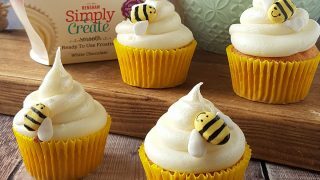 To create the honeycomb effect, either place a sheet of clean bubble wrap over the top and run a rolling pin over it, or you can use the end of a wooden spoon to create lines of indentations across the dough. Cut the dough into squares before chopping off the corners to create honeycomb shapes. Bake in the oven for 15-20 minutes. Whilst the cookies are cooling, split and roll the yellow icing into small lozenges. Add stripes using the black icing before sticking on the icing/rice paper wings with a little water. 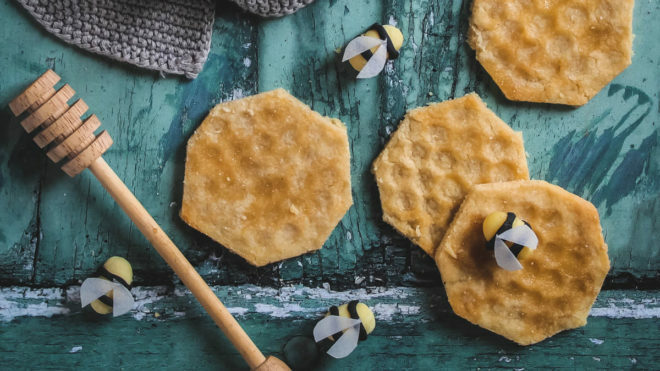 Use a dab of water to stick the bees to the shortbread cookies. Keep the cookies in an airtight container and enjoy within 3 days.